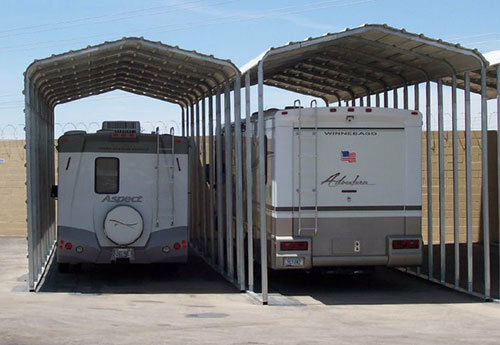 Mesa RV Storage: Safe Storage for RVs, Trailers, and More. Security for your property is something we take very seriously. We offer some of the best RV storage rates in the Southeast Valley. Learn more about our storage options for RVs, trailers, boats, and more. Be sure to check out our articles and resources with great tips for RV storage and travel. For Mesa RV storage, our facility is considered one of the hidden gems. Compare our rates – we think you will be pleased. Our location can’t be beaten. Centrally located and right next door to all SE Valley cities, and right off the I-10 for easy escape into your vacation. 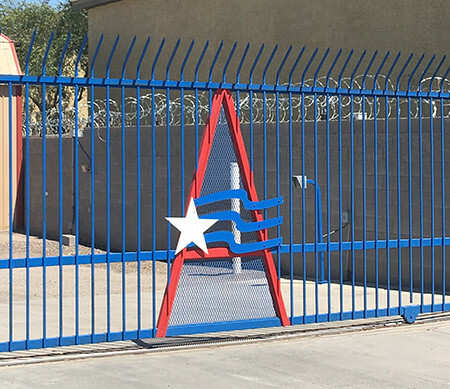 We have been providing safe and secure RV storage, boat storage, and vehicle storage since 2001, and serve customers from Mesa, Scottsdale, Tempe, Chandler, and Phoenix, AZ. Our facility is very well secured, and you can sleep easy knowing that your assets are taken care of. Since we have been in business, we have had exactly zero cases of damage or theft to our customers’ vehicles. We are proud of our record. You will find that we have a 10′ block wall and a quality alarm system to provide the security needed to take care of your vacation vehicle. You are given your own security code that is required to enter and exit this storage facility. We invite you to shop prices. Most of our customers have compared our prices with those of other Mesa RV storage facilities, as well as those in Tempe or Scottsdale, and have mentioned how much more inexpensive we are. A perfect security record! We have been in business since 2001 with no incidents of damage or theft to our customers’ assets! So safe, it’s like parking in your own garage! Our storage rates are less than what you will pay in Mesa, Tempe, Scottsdale or Phoenix! Click here for RV storage prices. Easy access to 110 outlets. Want more? See our FAQ section. Wide aisles for easy movement and parking of your vehicle or trailer. An extremely convenient location that is close to the I-10. Get on or off the road quickly! A clean RV dump for easy clean up. A variety of covered parking space sizes. Unique security code for gate access is provided to each customer. Flexible and easy payment terms. Please call 480-405-7090 with any questions or quote needs! Customer service available from 8:00 am to 5:00 pm Arizona time M-F. We are here to help! Fill out the form below & a representative will contact you immediately. Ask about your space today!